Nothing ruins summertime fun than having to deal with costly home repairs. Of course, some repairs are inevitable, but in most cases, there are plenty of things you can do at home to prevent issues from popping up in the first place. Your plumbing system is one of the most important systems in your home, and therefore, it is important to treat it with care. Clogs are certainly no fun, and surely, it is the last thing that you would want to deal with when all you are trying to do is soak up the sun. Fortunately, we have outlined a number of ways in which you can keep your plumbing in Brandon, FL clean and clear this summer. By following these simple rules, you’ll be able to enjoy a clog-free summer! Keep reading below to find out more! Your toilet is another site where clogs are commonly found, which is why it is important to be mindful about what should and should not be flushed down it. The only items that should ever be flushed down your toilet are toilet paper and [human] waste. Therefore, items such as sanitary products, flushable wipes, tissues, paper towels, and hair should never be flushed down your toilet. When you find that one of your drains is slow or clogged, you may be tempted to run out and buy a chemical drain cleaner. Though these are marketed as being safe and effective, we can assure you that they are not. Chemical drain cleaners are so toxic that they can end up eating through your pipes, making matters much worse. Don’t forget to schedule your annual plumbing maintenance services. Maintenance is the best way to avoid clogs and leaks from forming, as a professional will be able to thoroughly inspect your system to clear out any build-up before a clog even has the chance to form. Plus, maintenance is a great way to extend the service life of your plumbing fixtures and appliances. 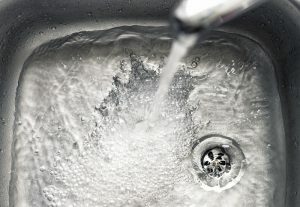 Professional drain cleaning services are designed to protect your pipes from clogs and blockages. Methods such as hydro-jetting are used to blast away build-up, preventing the formation of clogs and removing any that may exist. To keep your plumbing safe and sound this summer, be sure to schedule your services with the experts at Bayonet Plumbing, Cooling, & Heating.